Six tracks from this new NYC group, featuring a familiar cast of faces from JJ Doll, Vanity, and Vexx. Sister Anne, however, have much more of a hard rocking, early Motörhead-ish rock'n'roll sound. The songs are driven home by a simple, yet effective rhythm section and dual guitar attack (featuring the instantly recognizable style of "Groovy" Mike Liebman, formerly of Vexx). "Where'd You Go" actually feels like a lost Vexx track from the Wild Hunt 12" (and maybe it sort of is?) 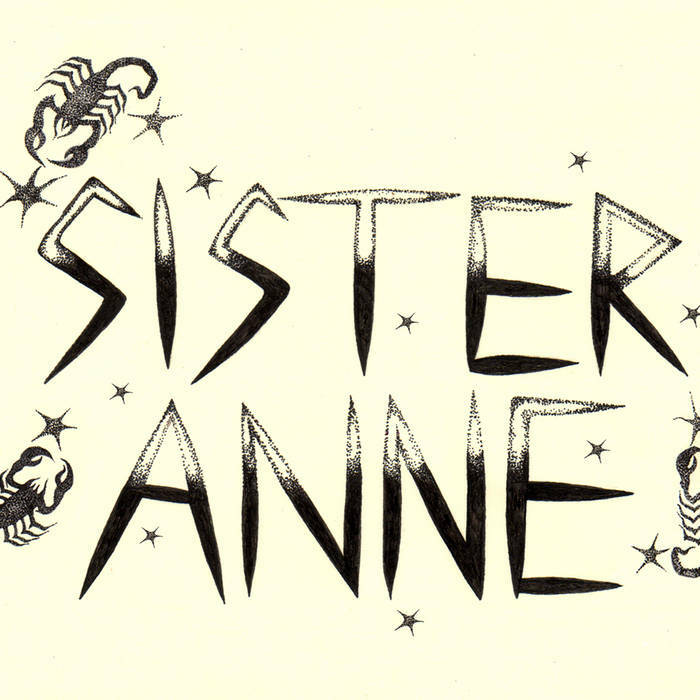 - though the rest of Sister Anne's demo rollicks through with a solid rock'n'roll swagger, all tracks clocking in at the 1:30-2:00 sweet spot. Carla's vocals have a fair bit of range, and actually have more of a hard rock feel (perhaps ala the MC5, where Sister Anne borrow their name from) which really lives up to the tunes here - much more natural than a standard punk singer trying to connect to these riffs. A very promising demo from a group that I'm curious to hear more from! Pro duplicated cassettes with risograph printed J-cards. Self released.